This week's #RunChat - 8 p.m. 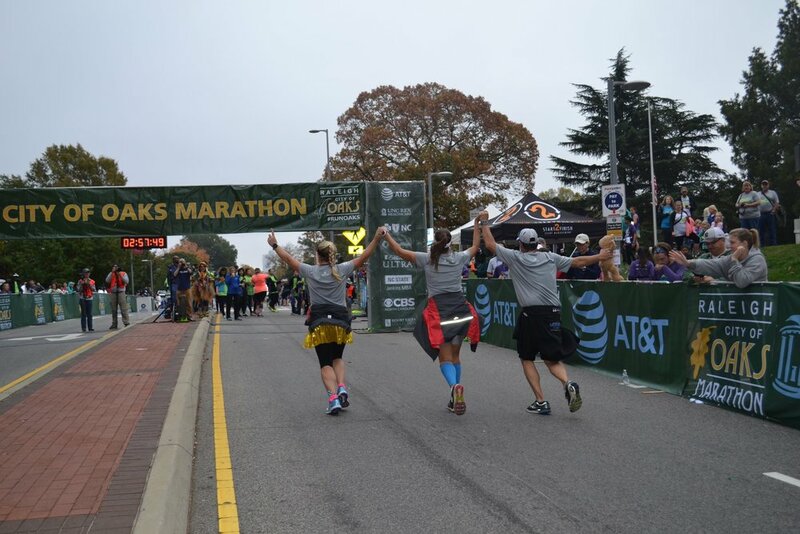 ET Sunday, April 22 - we're partnering with the City of Oaks Marathon, which is in Raleigh, North Carolina, on Nov. 4. This event also features a half marathon, a 10K and a 5K! More than 5,000 runners are expected to join in this year's races. As part of this week's #RunChat, you could win an entry to this year's race! Simply tweet the below (filling in the blank of course) by 7:55 p.m. ET Sunday, April 22 AND answer at least one question during the chat to be fully entered. One winner will be selected at random and announced in the final 5 minutes of #RunChat. Retweets and liking of tweets do not increase your chances of winning. Your tweet can vary from above, but please make sure to tag @OaksMarathon, use the #RunChat tag and include a link to this post. Everyone can get 10% off any of the City of Oaks distances with code RunChatCOO. Click here to learn more. Raleigh is often described as "a park with a city in it." The marathon will take runners through the city's downtown core, which has undergone a $2 billion renaissance, and over serene trails of the celebrated Capital Area Greenway System. From urban renewal to creekside tranquility, runners will experience what Forbes considers the #6 Best City for Singles and #2 Best City for Business, and one of Runner's World magazine’s Great Destinations Off the Beaten Path.